I advise private individuals, pension funds, banks, owner manager businesses and SMEs on all aspects of commercial property work, including landlord and tenant related matters, development work, property finance and securities work, freehold and leasehold sales and acquisitions and portfolio management. I pride myself on offering prompt, pragmatic, cost effective legal advice and am proactive in assisting clients with achieving their aims. In my experience, clients want their lawyers to take an interest in their business and understand the reasoning behind their transaction. After graduating from Cardiff University in 2006, I completed the LPC in Guildford Law School, and trained with another local firm before joining Barlow Robbins in May 2013. In my spare time, I enjoy riding horses and walking my French Bulldog, Poppy. 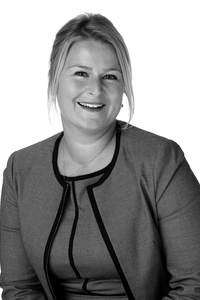 Daisy Waldren plays a crucial role in the team's secured lending work and regularly acts on behalf of investors and banks. "She provides excellent service, is always approachable and provides regular updates and manages expectations well." "Excellent" Daisy Waldren continues to build a strong property practice and advises on investment transactions and secured lending work, among other matters. She is also experienced in development matters.